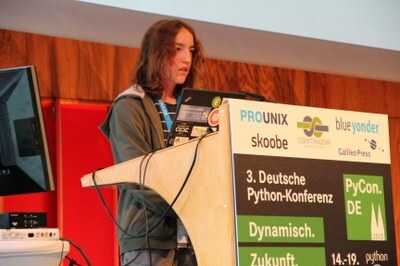 Two winners of a beginners programming competition showed their results in the opening keynote of the German Python conference in Cologne. They have to use Python to program Blender. Both showed slides and also their animation movie. A 15 year old girl visualized Conway’s “Game of life” and a boy, 13 years showed a card game “skat” having good software design skills. 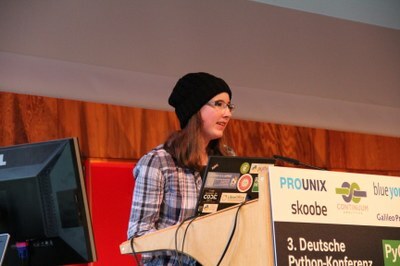 The conference and also the competition is driven by the german Python Software Verband. This is a national equivalent to the Python Software Foundation. The contest will continue and likely start again in november and been celebrated at the next EuroPython in Berlin 21.7 – 27.7.2014.